to be prepared to take proper activities should the National Assembly neglect to disregard the Presidency by certifying N30,000 as the new national the lowest pay permitted by law at state and Federal levels. 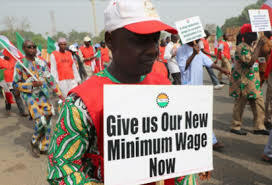 President of the congress, Comrade Ayuba Wabba, told reporters at the end of an emergency meeting of the Central Working Committee of the congress yesterday that the International Labour Organization (ILO) conventions guiding negotiations on minimum wage do not allow one party to change the figures agreed upon after negotiations. The process of changing the figure agreed upon after negotiations, he said, must follow the same process of negotiations in accordance with international best practices and in accordance with ILO conventions. He insisted that even the N30,000 agreed to by the tripartite committee was a compromise position for which labour should be commended as it is still less than 100 dollars if converted. 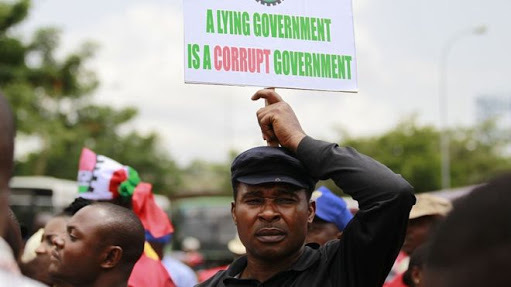 Wabba said: “This is the resolution that has just been adopted by a meeting of the Central Working Committee of the Nigeria Labour Congress. The meeting deliberated on a one-item agenda which is the issue of the transmission of the national minimum wage bill to the National Assembly. “The meeting reviewed the whole situation, including the fact that what was agreed at the tripartite negotiation meeting of the review of the minimum wage was N30,000. It is actually out of place and out of procedure for that figure to be reduced to N27,000."